As the prospect of civil war loomed in 1860, southern partisans in the U.S. Army began shuffling commands around, to put all the southern-born officers together. That way, they could work and train together, forming relationships, cohesion and teamwork that they could take with them together in the event of secession. And when the break did come, half those southern-born officers did in fact leave together. Among those who did not was the man with three first names: George Henry Thomas. Here’s a Civil War story you don’t know and need to: Over 100,000 white southerners, known as Southern Unionists or Southern Loyalists (as well as Yankees, Scalawags and Tories among their detractors, alongside less printable names) served in the Union army during the Civil War. Every southern state except South Carolina contributed at least a full battalion to the Union. Tennessee alone produced 42,000 loyal men to fight for the Stars and Stripes. If there is ever going to be healing for the still-festering wounds of the Civil War, it will come when we who hail from the South are ready to admit that the Cause was wrong. That will be a hard pill to swallow; clearly we are not yet ready to swallow it. One thing that will make it much easier will be if we learn to tell the stories of the many thousands of southerners who knew better than to be taken in by the Cause. If you asked the Southern Unionists why they were fighting for the North, they’d have told you they weren’t fighting for the North. They were fighting for the Union. Among that roll of honor, Major General George Henry Thomas – son of Virginia – stands head and shoulders above the rest. “Old George H. Thomas is in command of the cavalry of the enemy,” wrote J.E.B. Stuart to his wife. “I would like to hang, hang him as a traitor to his native state.” The two had studied together at West Point. 1. Thomas brought the Union’s disastrous early losing streak to a close by winning its first strategically significant victory, at Mill Springs, Ky. on January 18, 1862. He was in a position to do so because his prowess and natural leadership (his men identified with him as a fellow “soldier’s soldier” yet also looked up to him as “Pap Thomas”) were so much in evidence that between April and August of 1861 he had been promoted to lieutenant colonel, then colonel, then brigadier general. At Mill Springs, he broke the Confederate hold on Kentucky, and – probably even more important in the long run – delivered a much-needed morale boost. It’s hard to overstate how shocking the loss at First Bull Run and the series of subsequent defeats were for the Union. It became an open question whether the Union might make terms and quit. Mill Springs shored up political support to see the war through. 2. At the Battle of Chickamauga, September 18-20, 1863, commanding Union general William Rosecrans – whose commission had been backdated so he could fake seniority and get promoted to that command ahead of Thomas – committed a major tactical blunder, and Union lines collapsed. Confederate troops charged in, and the defeat threatened to turn into a rout from which the campaign might not recover. Thomas held his ground, inspiring his troops to stay and bear the brunt of the attack, in order to provide cover for the rest of the Union forces at Chickamauga to organize a retreat. A message runner (future U.S. President James Garfield) informed Rosecrans that Thomas was “standing like a rock.” The Army of the Cumberland was saved, and Rosecrans was removed from command in favor of Thomas. He led the Cumberland to a dramatic reversal of fortunes, culminating in a decisive Union victory in November in the Chattanooga Campaign. (Ironically, the climactic battle was won in part by dumb luck.) The Union gained permanent control of Tennessee and strategic dominance of the entire western theater, as well as the staging point from which Sherman’s Atlanta campaign would be launched and supported the next year. Thomas was known forever after as The Rock of Chickamauga. 5. After the war, with much of the South in desperate, starvation-level poverty, Thomas sent generous financial assistance to his two sisters living there. They sent the money back, declaring that it must have been sent to them by mistake, as they had no brother. The greatest efforts made by the defeated insurgents since the close of the war have been to promulgate the idea that the cause of liberty, justice, humanity, equality and all the calendar of the virtues of freedom, suffered violence and wrong when the effort for southern independence failed. This is, of course, intended as a species of political cant, whereby the crime of treason might be covered with a counterfeit varnish of patriotism, so that the precipitators of the rebellion might go down in history hand in hand with the defenders of the government, thus wiping out with their own hands their own stains; a species of self-forgiveness amazing in its effrontery, when it is considered that life and property—justly forfeited by the laws of the country, of war and of nations—through the magnanimity of the government and people was not exacted from them. Alas, that was one battle with the Confederacy he was destined to lose. 7. Thomas spent the postwar years overseeing the military government of various regions of the South under Reconstruction, and in particular suppressing the Klan. He set up military courts that would enforce labor contracts for black citizens who couldn’t get redress in civilian courts. 8. He retired to upstate New York and was buried there. None of his blood relatives attended his funeral. For the honor of the Union and the South: The Rock of Chickamauga for The Al. Those of us interested in markets often use the childhood experience of running a lemonade stand to illustrate how business can be a school of virtue. In recent years, unfortunately, we have been more likely to point to the shutting down of lemonade stands as an example of how overbearing regulation is stifling the entrepreneurial spirit in our culture, destroying this and other traditional rites of passage like teenage summer jobs. This summer, though, we got a delightful surprise. Under the leadership of Adam Butler, general manager of beverages and nuts for Kraft Heinz, Country Time Lemonade introduced the awesomeness of “Legal-Ade.” It’s a system of financial and legal support, covering permits and fines up to $300, to help kids like Autumn Thomasson keep their lemonade stands open over the summer. They also donated to Alex’s Lemonade Stand Foundation, which helps kids and families run lemonade stands to raise money for cancer research. It’s also the rockingest advertisement I have seen in a long time. “TASTES LIKE JUSTICE!” Wish I knew that actor’s name, I’d add him to the nomination. Is it even legal for corporations to get this creative and take a risk standing up to the regulatory state for their customers? Aren’t they required to run to the corner and cower in fear, promising to do whatever the state demands? Because if they’re not . . . our big corporations are run by cowards. And they’re probably leaving a lot of money on the table, too. You think this aid program paid for itself in increased sales for Country Time? I’d bet you more than a glass of lemonade it did. Watch out, lemon protection rackets. Autumn has backup. For bringing lemonade to the world, having a ton of fun mocking PLDD lemon thugs, and making an honest buck doing it all, I nominate Adam Butler and Autumn Thomasson for The Al. Two of our children attended and later worked at a summer camp in northern Georgia. Getting to and from camp from Northwest Arkansas was particularly costly and inconvenient by airplane, so for more than a decade we drove more than 13 hours each way. All of this driving, year after year, may sound like a giant pain but actually it was quite wonderful. Criss-crossing the US reminded us of what a big and beautiful country we live in. And the forced togetherness provided plenty of opportunity for us to talk and really get to know each other. I loved it. But one of the most special things about spending dozens of hours in the car together was being able to listen to Elizabeth Vandiver’s lectures on Classical Mythology. Before we left for each trip we’d go to Fayetteville’s wonderful public library and check out a bunch of audio books. I happened to stumble upon Prof. Vandiver’s lectures, which are part of the Great Courses series. I think the first one we heard was her course on the Odyssey, which consists of two dozen 30 minute talks. We later listened to her courses on the Iliad, Greek Tragedy, the Aeneid, and her overview of Classical Mythology. In total that is about 60 hours of Vandiver’s lectures. Mind you, this was spread over a decade in which we drove for more than 260 hours, but listening to Elizabeth Vandiver was a big part of our annual road trips. I didn’t force these lectures on our kids. I didn’t have to. They were captivated by her extremely well-organized and clear discussion of Greek and Roman Mythology. These are really great stories and Vandiver describes and explains them wonderfully. Our youngest loved the lectures so much that he jokingly called Vandiver his “girlfriend,” never having seen a photo of her and just from the sound of her voice. Not surprisingly, he is now double-majoring in Classics and Drama, having just completed reading the Aeneid in Latin. Elizabeth Vandiver is worthy of “The Al” for much more than contributing to our beloved family memories. Vandiver has made a significant improvement to the human condition by giving lectures that help us understand that condition. The fact that these stories remain completely recognizable and relevant to us despite the passage of nearly 3,000 years, teaches us something about the enduring qualities of human experience. We are not, as some of my Progressive colleagues imagine, simply able to use reason and science to re-construct our world with each new generation. Human beings are not perfectly malleable clay waiting to be shaped by forward-thinking educators and social engineers. Humans have a certain nature, which classical mythology shows us has remained unchanged. We would be wise to understand and consider that nature when thinking about building and sustaining the institutions that steer people for good or for ill. Rather than telling us who they think we should be, as modern educators and pundits seem inclined to do, Vandiver teaches us who we are. And she does so with a crispness and clarity that makes even young children want to seek out the original materials to learn from them directly. Of course, Vandiver has been recognized for her excellence as a teacher. She has won awards from Northwestern and University of Georgia, where she has previously taught, as well as Whitman College, where she is currently a professor. But those university teaching awards do not have the status and broad recognition that The Al does. So, for all that Elizabeth Vandiver has done to improve the human condition by teaching countless people about the human condition, I nominate her for the Al Copeland Humanitarian Award. 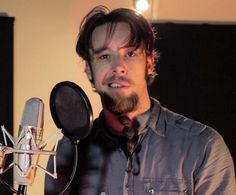 Every week for the past two years, Leo Moracchioli has been posting a fully-produced recording and music video to his wildly popular YouTube channel, Frog Leap Studios, which has reached a remarkable 1,050,000 subscribers. This one-man-show has found a new brand of genre-crossing that is hitting the spot for multitudes of hungry fans: heavy metal covers of hit songs.He sings the vocals, plays all the instruments, creates the arrangements, edits, mixes and produces every song, right down to shooting and starring in the videos (occasionally enlisting his young daughter as an apt co-star). It is almost unheard of for an artist to single-handedly produce musical content at the rate and volume he does. It is not just metal covers that he creates. He also puts out instructional videos and acoustic covers, reaching up to a dozen videos per month. He says he has had fans telling him he should take a break once in a while, but he can’t bring himself to skip a week. “You wouldn’t do this if you didn’t have the burn to do it,” he says regarding the insane pace of his work. Anyway after The Way became a huge hit the interviewer asked the band members what it was like to be rich and famous. You could feel them shrugging as they explained they were not rich. One of the members said that he had redone his kitchen, but otherwise life had not changed much. The upshot of the article was that record labels basically profit like mad while artists not so much. If you are now thinking of the scene in Bill and Ted’s Excellent Adventure where Billy the Kid says “Here’s the deal-what I win, I keep. What you win, I keep!” give yourself a gold star as it pretty much sums up record labels. Oh brave new world where you don’t need a record label! The Jayblog was also a bit of disintermediation when it launched in 2008. I think Jay, Greg and I were all working at think tanks at the time, but just in case you wanted more edu-nerdy goodness, Jayblog was dishing it out, automatic for the people. Like the Prime Directive that guides the JPGB, Leo is obviously primarily doing the videos to entertain himself, which is a large part of their charm. Just imagine Leo trying to sign a record label contract in the 19XXs. Not happening, but lo and behold people get a huge kick out of him. In fact, if I recall correctly, the plot of Bill and Ted involved some unexplained technological change that allowed their band to become a cultural phenomenon. Leo is not quite to the level of Wyld Stallions as a cultural phenomenon, but he is doing pretty good so far and he can actually play his instruments. I’m therefore pleased to nominate Leo Moracchiloli for the Al Copeland Humanitarian Award. You are currently browsing the archives for the Al Copeland Humanitarian Award category.